If you have landed here because you're interested in the Don't Cook Your Dog Campaign click here to be transported to everything you need to know! Have you ever wished you had more hands? Does your small to medium dog do a disappearing act when you get the brush out, try to clip nails etc! 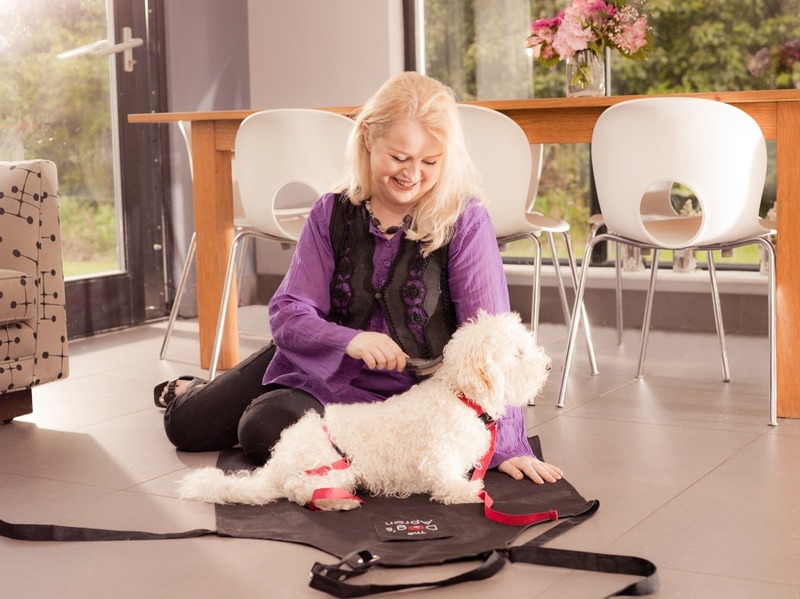 Former dog groomer and inventor Nuala Bowes has designed The Dog’s Apron allowing you to ‘pamper without the scamper’. The easy-to-use apron takes the stress out of brushing, drying, administering medicine or clipping nails. Adjustable straps allows small to medium sized dogs to be gently secured to their owners’ laps so they can get on with fuss-free grooming or training puppies. For some reason this lady hasn't managed to work out how to put the apron on herself... but I think you get the idea! We have four to give away! Email comps@dogstodaymagazine.co.uk or post your entry on our Dogs Today facebook page. We're asking you to share your most amusing dog grooming anecdote. For example dog groomer Anita Bax once found a squashed frog while grooming Oscar. 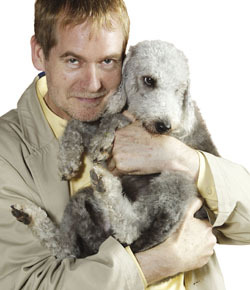 What has your dog rolled in or picked up in the park that you'd like to forget? Do share! Or as it's called the dog's apron, any other things from the kitchen that the dog has taken and is now their own? Or if you can't think of anything and want one, just say that! There are four after all!! !